What In The World Is The Life Jacket Loaner Program? If you have never heard of this Program, you are in good company. 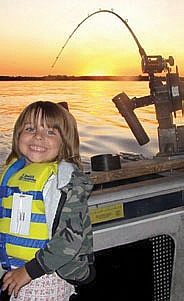 It is a BoatUS Foundation for Boating Safety & Clean Water-sponsored program which began in 1998. Ok. So why would anyone ever need a life vest loaner? Well.., as Ronnie used to say, if you own your own boat and have children, you have probably encountered the following scenario or one like it. Your 6 year old daughter has invited a friend to spend the weekend with her and to join you and your family on a little boat outing. The only problem is that your spare life vests are either adult size or life vests that the kids have outgrown. You have nothing that will fit the friend. Your daughter, being the good and generous kid that she is, offers to let her friend use her life vest and she won’t wear one. After all, she has been swimming since almost before she could walk. So reluctantly, you agree to this. All children 12 years of age and younger must wear a U.S. Coast Guard—approved Type I, II, or III life jacket (PFD) while underway on any vessel. Fortunately, if you are ever faced with this situation and if you boat at Lake Powell, there is no problem. Aramark at Wahweap Marina and the Park Ranger’s Station at Hall’s Crossing are both participants in this Loaner Program, sponsored by the BoatUS Foundation for Boating Safety & Clean Water. The BoatUS Foundation is a national 501 (c)(3) nonprofit organization dedicated to promoting safe and environmentally sensitive boating. The life vests come in a range of sizes: Infant, Child and Youth; something to fit most children. In our scenario above, you take your daughter’s friend to either Aramark at Wahweap Marina or the Park Ranger’s Station at Hall’s Crossing. You will then provide the staff there with your name, address, phone number, driver’s license number and anticipated return date. 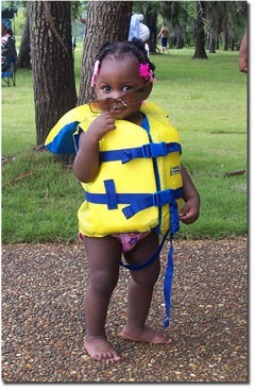 Your daughter’s friend will be fitted for a life vest, and as easy as that, you are on your way. At the end of your boating trip, you simply return the vest to the location where you got it. There is no charge for the use of the vest. 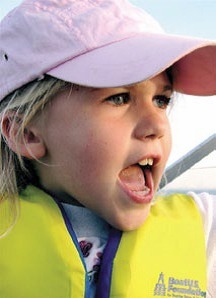 “Help Make Boating Safer for children. The Life Jacket Loaner Program for Kids lends jackets out more than 90,000 times a year and supplies are running short. Your contribution of any amount, even just $10, will make a difference to a small child. Directions to this Life Vest Loaner location. Directions to this Life Jacket Loaner location.